With St Mary and St Thomas’ CE Primary School an outstanding lead school within The Three Saints Academy trust, and the lead school within the St Helens Teaching School Alliance, collaboration is at the forefront of our work. Through the All Together programme, we've been able to share resources across the entire alliance, supporting each other whilst monitoring progress to ensure we continually move forward with stamping out bullying. I first discovered the Anti-Bullying Alliance All Together programme in 2017 via social media. Having contacted Anti-Bullying Alliance to find out more, I discovered that applications were open to local authorities and teaching schools. As an outstanding lead school within the academy trust, I dived in and applied on behalf of the entire St Helen Teaching School Alliance to run the programme for schools in our area and those part of the Alliance. Once accepted onto the programme, we arranged for fellow schools and agencies from the St Helens area, and Alliance partners across the North West, to take part in two training days so they too could benefit from the online resources. As a result several schools received All Together programme awards ranging from Bronze through to Gold for their work on tackling and preventing bullying in school. All Together is a whole-school anti-bullying programme offered free to schools across England. Delivered by the Anti-Bullying Alliance, and supported by the Department of Education, the programme is based online and provides access to an online hub, which enables schools to audit their current anti-bullying practice and create an anti-bullying action plan that is tailored to their needs. On hearing that the Department for Education had extended funding, and knowing how resourceful the Programme is, I liaised with the Anti-Bullying Alliance to further signpost and promote schools from our local area and Teaching School Alliance to access the programme, becoming something of an ‘All Together Champion’. Once signed up to the programme, I had access to a range of online resources to support our anti-bullying work in school, including the 'All Together Pupil Wellbeing Questionnaire'; a most insightful tool providing insight into the levels of wellbeing and bullying among pupils, it also allows you to monitor progress over the course of the entire programme. As we already had an established wellbeing programme running in school, my team and I wanted to use the questionnaire to dig deeper with individual classes and ensure we gained a true picture of the school – identifying the deep root cause of issues as opposed to just the surface, which often pupils are most comfortable displaying. We adopted a more therapeutic approach, working with small groups of children to allow them the opportunity to talk in a safe environment, outside the normal classroom environment. This piece of work led to an in-depth class by class analysis, identifying issues we had not seen through our other in-school programmes, such as confidence, self-esteem, and knowing what’s right and wrong. The next step was to roll this approach out to all classes, and working with teachers, create action plans for each class. Using the All Together Action Plan, in my opinion the most important resource available, we were able to identify team priorities and how we could target the areas specific to each individual class, through Personal, Social and health Education (PSHE) sessions as well as curriculum time and the activities planned during Anti-Bullying Week. 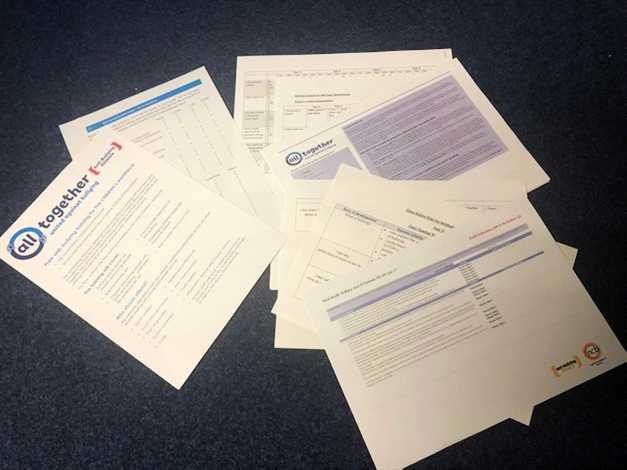 These activities were then carried out throughout the year, monitored by the Senior Leadership Team through termly discussions in staff meetings and through evidence collection, culminating in the questionnaire being completed a second time at the end of the Summer term. Throughout the year, pupils who had been identified as having particular concerns or issues that had previously been unknown to school, for example, struggling to sleep, were signposted to our therapeutic intervention team, who worked with them on techniques such as mindful meditation or use of meditation apps that they can access at home. 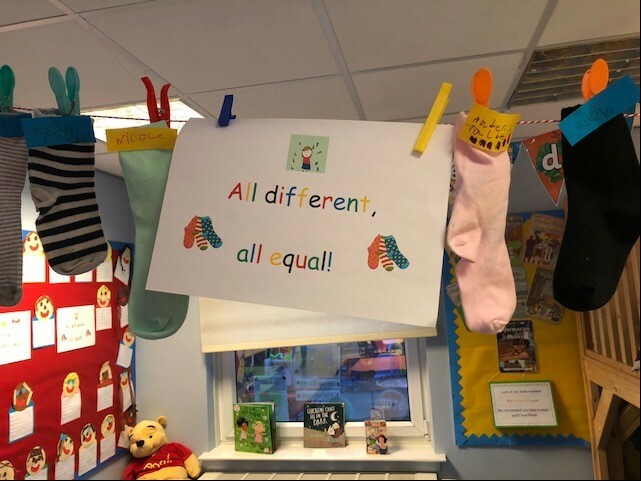 As a result of our work, we saw a change in language used by the children in respect of how they referred to behaviours, and children regularly share with visitors to our school how they feel safe and supported. Through the work and the support programmes we have in place we have achieved the Bronze Young Carers Award and as a Rights Respecting School achieved the UNICEF RRSA Bronze Award in December 2017 and the Silver Award in July 2018, having only signed up in September 2017. Our attendance % improved from 95.9% to 96.4% with our PA % halved. And as part of the schools ongoing commitment to safeguarding and wellbeing, all staff completed the All Together online continual professional development (CPD) certified training, including the module on cyberbullying by December 2017. The training is now incorporated into the induction programme for all new staff. Stay tuned for the next instalment: ‘Educating pupils and parents together'. Great !! I agree with you. Thanks.